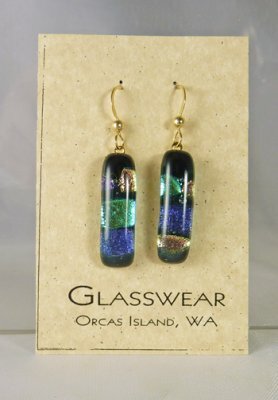 Fused Glass Bar Earrings by Gail Glass. These bar shape earrings have iridescent details. The length is about 1 1/2" long from hook to bottom. Gold filled findings.